Home > Why Does Pregnancy Cause Nausea? Why Does Pregnancy Cause Nausea? Pregnancy causes many physical changes in a woman’s body, starting in the first few weeks of your first trimester. One of the unpleasant symptoms you may experience during your pregnancy is nausea, which is sometimes accompanied by morning sickness (vomiting). You may wonder what causes nausea during pregnancy, and what – if anything – you can do to alleviate it. During pregnancy, your body is flooded with very high levels of pregnancy hormones which commonly cause nausea among women in the beginning stages of pregnancy. In fact, studies show that as many as nine out of 10 pregnant women experience nausea or vomiting. Your body produces extra estrogen during pregnancy as well as “the pregnancy hormone” human chorionic gonadotrophin (HCG), the hormone that your body begins to produce once the fertilized egg attaches to the lining of your uterus, in large quantities. Both of these hormones are necessary to support your growing baby, and both could be the culprit when it comes to your queasiness. The good news is, although it is unpleasant to deal with, nausea is not harmful to you nor does it pose a threat to your baby. If you do suffer from a sensitive stomach, it could become worse while you’re trying to adapt to the myriad physical changes of pregnancy. As we already know, stress and fatigue cause physical reactions within the body, and these reactions can lead to nausea and vomiting during your pregnancy. The changes you’ll undergo are normal and natural, but they can still put stress on your body and cause mental and physical fatigue, especially during the first trimester. One way to minimize the stress on your body is to make sure you get adequate rest to help combat fatigue. Everything is harder when we’re tired, and during the first phase of your pregnancy your body is expending an unusual amount of energy as the fetus begins to develop within your womb, so your sleep requirements will likely increase. For many women, nausea and vomiting disappear during the second trimester but for some, morning sickness continues throughout their pregnancy. It is vital to the health of both you and your baby that you receive proper nutrition throughout your pregnancy, and supplement with the prenatal vitamins your doctor will prescribe. 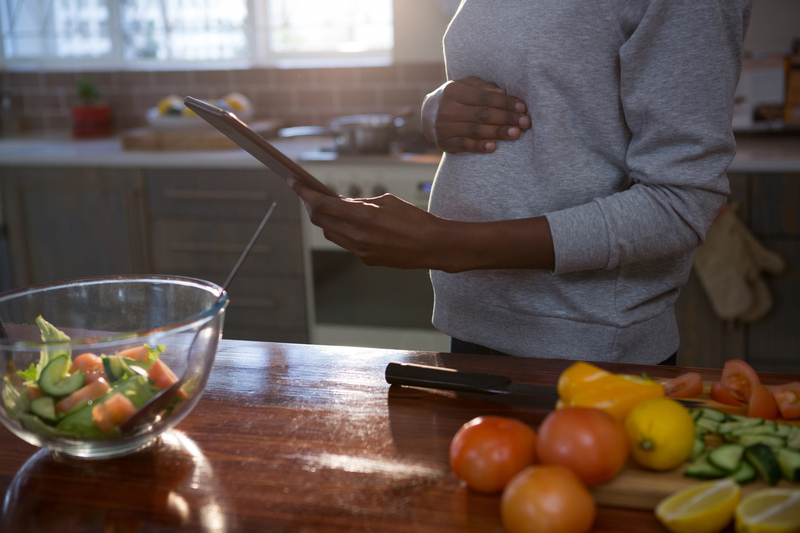 If you’ve been thinking of changing your diet towards a healthier, more organic lifestyle, pregnancy could offer you the perfect time to make the change. If you do become nauseous, there are some foods which may help alleviate nausea and settle your stomach. You may want to do your best to avoid fried or greasy foods, spicy foods, creamy or overly rich foods or desserts, and any foods with strong flavors or aromas. These types of foods can trigger nausea, especially if consumed in large quantities. If you have accompanying heartburn, most doctors will allow you to take an over-the-counter remedy such as chewable antacid tablets, but be sure to check with your doctor first. If you do suffer with morning sickness, always be sure to re-hydrate with fluids after vomiting. If your nausea and vomiting become severe or chronic, your doctor may be able to prescribe a remedy. You can also massage ginger, lavender, sandalwood or a combination of these essential oils combined with fractionated coconut oil or pure almond oil directly onto your abdomen or on the bottom of your feet. Another way to take advantage of the healing properties of these oils is to make a tea using one or two drops each of ginger, peppermint and lemon oil mixed into hot water, sweetened with honey or stevia. 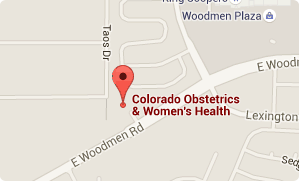 At Colorado Obstetrics and Women’s Health, we provide complete obstetrical and prenatal care, are fully equipped and trained to handle normal pregnancy and childbirth as well as high risk pregnancies and offer free walk-in urine pregnancy tests. We’re dedicated to providing Colorado’s female population with personalized, comprehensive healthcare for all phases of a woman’s life, not just when you are carrying a child. If you’re looking for a team of dedicated professionals to help manage your pregnancy and ongoing healthcare, give us a call today at (719) 634-8800 to schedule an appointment at our clinic. We look forward to helping you achieve your best health.